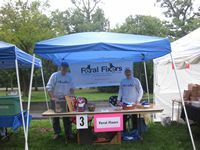 Today, Feral Fixer's Board member Kurt and myself represented Feral Fixers at the annual Wood Dale Pet Lovers Showcase. The weather was very unfriendly early on; rain, rain and more rain. But after an hour and a half or so, it let up and by the time the event ended, the sun was peeking out. The rain damped the turn-out - one of the organizers told me that it wasn't as well attended as last year's event was, but it still was a very worthwhile endeavor and everyone seemed to have a good time. Kurt and I were kept busy most of the day, chatting with passersby about TNR. Everyone was very supportive of the idea and we passed out a lot of business cards and flyers. And, more than in previous events I've attended, many people already knew what TNR was and many of them already had dealt with us or had a friend or neighbor who did. It's great to see the word getting out. Most of our visitors were from Wood Dale (naturally), Addison and Bensenville. We've been doing a lot of cats in Addison and Bensenville since we've started (several hundred I'm sure) and are now ramping up in Wood Dale. So, thank you to everyone who came out and said "Hi". Though it was a dog-specific event, there were a couple of other 'cat groups' besides us; Cat Guardians and Second Chance. I've included a couple of photo thumbnails in this post. The first is of Kurt and I at the booth while the second is one of the many greyhounds we saw today. 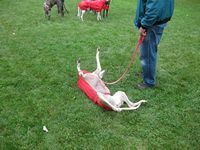 This was one mellow dog - just stretching out and enjoying life. Click on either of the thumbnails to see a full-size version and visit our Flickr Photo Album to see more pictures from this event and pictures from previous events. This was our first event of a busy 'event-month'. 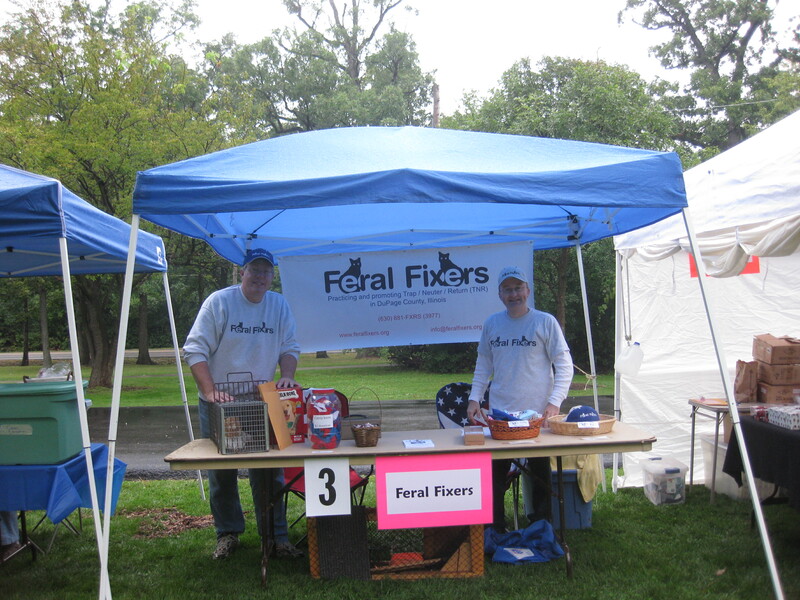 Next weekend, we'll be at the DuPage County Animal Care and Control 'friends fur-Ever FESTIVAL, TAKE TWO' gathering (lets hope the weather is better than their first attempt) and the following weekend is the annual West Suburban Humane Society Barkapalooza, held in Downers Grove. Come on out and say "Hi!" - we'd love to see you.